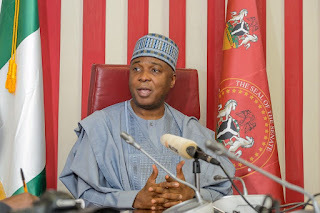 The Senate President, Bukola Saraki, Wednesday addressed a world press conference where he stated that despite risk to personal safety, he would continue to fight injustice and impunity in the country. He said the barricading of the National Assembly by DSS operatives yesterday was one of the many instances of undemocratic practices perpetrated by the Federal Government. In his words, “Despite risk to personal safety, we shall continue to fight injustice and impunity to defend our hard-earned democracy”. The Senate President said the power of leadership was not by only party politics, saying what happened needed a thorough investigation to ensure that the periodic siege of the parliament would not repeat. He said security agencies should act according to the provisions of their constitutional mandate without meddling in dirty partisan politics. “We desire to have a society of equity, not oppression. The erring security operatives involved in the despicable unprofessional act must be brought to book. “This is not about us. 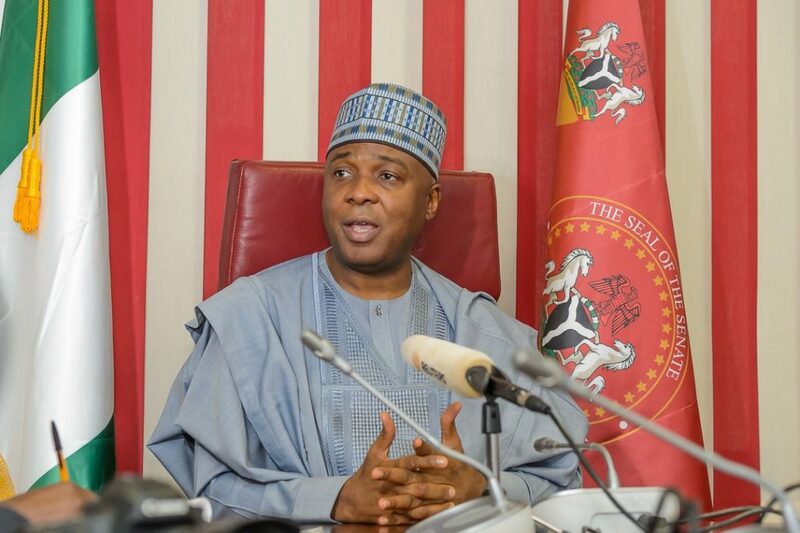 It is about respecting our institutions and rule of law,” Saraki said.